CHICAGO, Nov. 7, 2018 /PRNewswire/ -- International Truck today launched the International® CV™ Series, the only Class 4/5 truck that is designed, distributed and supported by a manufacturer specializing in commercial vehicles. "When a start-up business moves to the scale-up stage, the International CV Series provides a truck that will take their business to the next level," said Michael Cancelliere, Navistar's president, Truck and Parts. "We've designed, built and tested the CV Series to deliver the commercial-grade power, reliability and practicality that growing businesses require, along with the comfort, safety features and easy drivability that drivers appreciate. And we are backing it up with the expertise of the International dealer network, the only network in this category 100 percent dedicated to commercial vehicles." The CV Series' commitment to support growing businesses is reflected in the vehicle's many commercial-grade features, starting with a gear-driven transfer case, a high-strength, low-alloy steel frame rail and the industry's only painted chassis for enhanced longevity and corrosion resistance. For faster, more convenient service, the CV Series includes a commercial-style forward-tilting hood, which provides easy access to the engine and to routine maintenance points. Under that hood is the powerful International 6.6-liter, 350-horsepower engine with 700 lb.-ft. of torque. Equipped with that engine and two Allison transmission options, the CV is capable of handling up to a maximum GCWR of 37,500 lbs. The CV Series is also proven rugged: like all International commercial trucks, it was tested in extreme environments, including 40 degrees below zero Fahrenheit in Fairbanks, Alaska and 115 degrees Fahrenheit in Apache, Arizona, as well as high-altitude testing at 12,000 feet in Loveland Pass, Colorado. "The CV Series features a long list of heavy-duty details that would only be found on a truck designed by commercial truck engineers," said David Majors, Navistar vice president, Product Development. "Our engineers had one mission: to create the toughest, most capable, most upfit-friendly Class 4 and 5 truck to be found at any work site." Consistent with the CV Series' commercial-grade toughness is its ability to accommodate the wide range of specialized body types that growing businesses need. Straight frame rails with no rivets on the top flange provide a clean area from cab to axle, making it easy to mount bodies for virtually any commercial-grade application. Like other International trucks, the CV Series is outfitted with HuckBolt® chassis fasteners that provide consistently superior clamping force without re-torqueing and won't come loose even in extreme environments. Accommodating the configuration options required by different bodies, the CV Series offers a dual battery box mounted under the cab. The CV Series also includes multiple fuel tank options, optional exhaust outlets to suit the vocation and body, and multiple wheelbase options that can suit almost any application. CV Series customers also have access to the same Truck Specialty Center expertise as all International customers. At these centers, which are fully owned and operated by International Truck, experts provide quick, efficient and cost-effective custom engineering solutions. "The CV Series is the only truck in the segment that can take advantage of this level of customization," Cancelliere said. "No one has more experience at body integration than International Truck." Building on the CV Series' commercial pedigree is the International dealer network's commercial expertise, which offers critical service and support for a growing business. The network's dealership salespersons specialize in commercial transportation sales and spec'ing, making it easy for a customer to pick the configuration and specs that are right for any vocational application. In addition, International's Application Engineering Team offers access to vocational engineering experts who can help customers design a custom configuration geared to their application. Expert service is assured through the International dealer network, which is the industry's largest, with more dedicated commercial truck bays than are offered by any competitor in the segment. Service is also backed by a commercial-grade parts network where 98 percent of parts are available through either dealer inventory or International's highly efficient network of parts distribution centers. 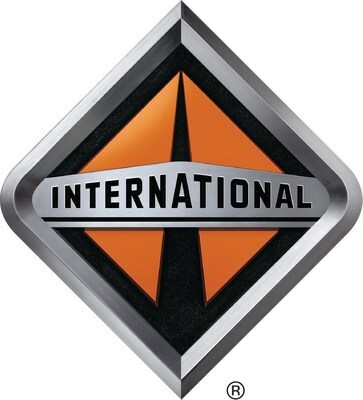 The International dealer network's more than 700 service locations feature more than 7,600 ASE-certified commercial diesel-trained technicians in the U.S. and more than 1,900 in Canada – a critical advantage over automotive-based service networks. "Our network is committed to providing the expertise needed to keep your business moving," said Cancelliere. "No matter the location, if a customer needs service, help is likely to be nearby." On top of its commercial-grade ruggedness and configurability, the CV Series also delivers the comfort, safety features and easy drivability that customers have come to associate with the International DriverFirst™ philosophy. The truck offers automotive-like comfort, featuring premium interior finishes and outstanding driver ergonomics. Multiple infotainment options are available, including an 8-inch color touch screen with navigation and, for the first time in an International truck, Apple CarPlay and Android Auto. Added comfort is offered by the segment's only optional air ride suspension with an engine-mounted compressor, which can be used to adjust height and provide a smooth ride for cargo protection and crew comfort. "The CV Series has been compared to a field office with perks," Cancelliere said. "Our philosophy is that driver comfort is critical to get the job done smoothly and efficiently, and the CV Series brings that philosophy to life." For more information on the CV Series or to locate a dealer, visit www.internationaltrucks.com/CVSeriesMedia. All marks are trademarks of their respective owners.